When I received my copy of RCVD—still an SAE bestseller—I felt like the guy at the bottom of the mountain to whom Moses handed the Ten Commandments. 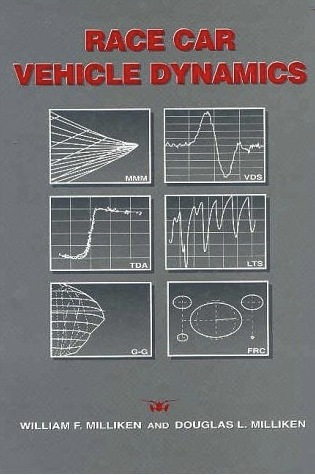 All the knowledge contained in the Holy Grail of how vehicles handle had just become mine. I am unaware of any other book that brings together the world’s knowledge on vehicle behavior like this one does. On the macro level RCVD deals with general principles of vehicle dynamics but on the micro level was specifically geared towards racing; it synthesizes fundamental theory and practical application. 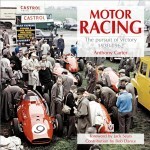 Any race team that doesn’t have a copy of this well written book is not winning as much as they could! Any vehicle suspension or race car designer who doesn’t have a copy is missing out on insights that throw light onto murky areas involving how vehicles act and feel when the rubber meets the road under all speeds and conditions, including crosswinds and uneven terrain. And any technically minded general-interest reader will find here an utterly scientific exposition of why wheeled vehicles comport themselves the way they do, and even the lay person possessed of some measure of curiosity will come to appreciate just how staggeringly complex vehicle dynamics are and will never again take a smooth ride for granted! You do need to know how to follow the math, but it’s nothing determination and applied general intelligence can’t master. This book may not make you a better driver but once you understand the theory you will become attuned to all sorts of cues your car has given you all along and you didn’t even recognize. The companion workbook (abbreviated RCVD-PAE) with CD Program Suite contains problems, worked solutions (another way of saying they’re giving you the answers in case you are stumped), and vehicle dynamics experiments. It is structured as a series of questions related to each of the 23 chapters of RCVD and allows/forces the reader to apply the newfound knowledge through hands-on calculations and experimentation. The accompanying CD with Windows software corresponds to RCVD but contains its own set of problems and answers. PAE includes many open-ended problems, such as suggestions for experiments that require your very own car. The CD, incidentally, is based on material Dr. William Rae and Dr. Edward Kasprzak started using in 1996 for their “Road Vehicle Dynamics” course at the University of Buffalo’s Mechanical Engineering Department. The formulas (over 2000!) that are at the core of this work are the result of a life dedicated to the belief that complicated and hard-to-define problems can be solved if submitted to the scientific method. The book is based on solid data-gathering that started back in the World War Two aircraft industry and then evolved over the ensuing decades. Bill Milliken did not act alone, but he did act constantly and persistently, gathering and refining test data over a 60-year period from many different sources, all of whom he and his son Doug readily acknowledge. It is no accident his firm, Milliken Research Associates, has been associated with major vehicle manufacturers for many years, or that the military and jet aircraft industry use their data. It started with Bill Milliken’s belief that aircraft flight characteristics could be quantified and described mathematically in such a way that design progress could become more predictable prior to the first flight of a new airframe. The process worked, and has been successfully applied to wheeled vehicle dynamics. 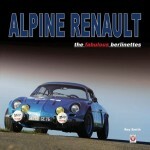 The information contained in this book was not cheap or simple to figure out initially. Using the information, however, is easy because the book assumes you’re not an Einstein sort of person and goes out of its way to make it simple for the non-scientists among us to work the formulas. The unfamiliar-looking symbols used in the formulas are simply graphic abbreviations used to represent a specific type of force or motion described verbally in the text. These symbols are not to be feared. Using the formulas requires nothing more than human curiosity and a pencil! Once you learn how the math works for any specific application, it quickly becomes repetitive and easy to do, allowing many possibilities to be analyzed before a final set-up or design decision has to be made. When you first start thumbing through the book it is highly probable that you won’t get far before some fascinating tidbit of information makes the little lights in the back of your head flicker. Studying the text provides hundreds of “aha” moments where what you already sensed to be true is proven and explained in detail. For example, in the late 1950s I helped build a haphazardly designed drag race suspension that worked great. And while I could empirically observe that it worked, I lacked the theoretical tools to explain why—until now. Had I known then what I do now, we would have made it even better than it was, and maybe grabbed that national record that was always a tenth of a second beyond our reach. The endpapers show symbol definitions, there are thorough references to over 200 published sources, and the Index is exemplary. The Appendix to PAE describes the CD-ROM, and those who want to make their living in this field will benefit from a description of academia-related aspects of the topic, as well as a list of supplemental material and bibliographies. For the price of a good floor jack you can add to your toolbox the knowledge of how to make your vehicle handle exactly the way you want it to handle. 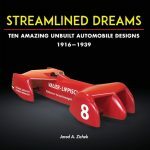 As the Millikens humorously put it, “We now move up the Ladder of Abstraction to the measured performance of real vehicles.” The SAE discounts its book to members. That is what writing the book was all about for me—letting others get on the same page so we could have a useful conversation, without getting lost in definitions and explanation of basic concepts. It’s a great review, thanks!